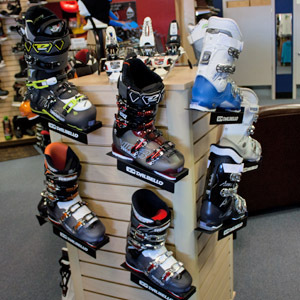 Stop by and let us treat your feet to the comfort of a new pair of ski boots. Believe it or not, you CAN be comfortable on the mountain this year. We carry boots from Dalbello, Tecnica and Nordica and will work hard to find the correct fit for you and your feet. We have new boots starting at $199!